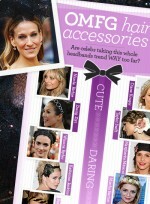 Celebrities are THE fashion icons for beauty, makeup — and of course, hairstyles. Taylor Swift is no exception. That’s why we’ve got Taylor Swift photo galleries, pictures, and general beauty news on this celeb. Her style is totally inspiring and worth checking out. So if you’re searching for some beauty tips, hairstyle options, and fashion advice, turn to Taylor Swift. She’ll bring your fashion to a whole new place. 1. To get Taylor Swift's hairstyle, apply a frizz-taming serum onto towel-dried hair and blow dry it straight using a round brush.2. Create a side part, then mist a heat protecting spray all over your hair.3. Using a 1.25-inch barrel curling iron, begin curling vertical sections of your hair inward, toward your face. Keep each curl tightly coiled as you go. 4. Once all of your hair is curled, brush through them using a boar bristle brush. Use your hand to smooth the ends of your curls inward toward your face. 5. Tuck the hair on the of your part behind your ear, then finish with a shine-enhancing hairspray. Taylor Swift’s Short, Wavy, Blonde, Bob Hairstyle will catch the light all night long with glossy waves. Get the look: 1. To get Taylor Swift’s hairstyle, apply shine serum to damp hair and part it in the middle. Use a barrel brush to create loose waves while you blow dry. 2. Mist your hair with a heat protectant, and then wrap 1-inch sections around a 1-inch curling wand, curling away from your face. 3. Use your fingers to comb out the waves. 4. Use your hands to apply shine serum over any fly-aways. Taylor Swift's Long, Wavy, Romantic, Blonde Hairstyle with Bangs is beautiful on longer hair. To steal her style:1. To get Taylor Swift's hairstyle, apply a styling oil to wet hair from root to tip, and then spritz with frizz control to tame flyaways. 2. Blow dry hair in sections with a large, round brush to get hair nice and smooth, rotating in a wide arc to maintain body. 3. 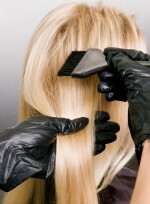 Divide hair into six horizontal sections, starting from your crown to the bottom of your neck. 4. 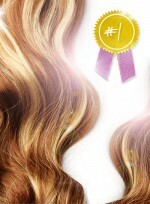 Use a 2-inch curling iron to curl each section, being careful to not include the ends. 5. Finger comb your hair to soften waves, and spray with hairspray for more hold. Want to stand out in a sea of LBDs this holiday? We’ve got you covered. Missed the 2011 Teen Choice Awards? No worries. Here are the prettiest makeup and hairstyles — and how to get ’em. Never know what to ask for when it comes to highlights? Have no fear. We can help.